Two shirts, two ways. 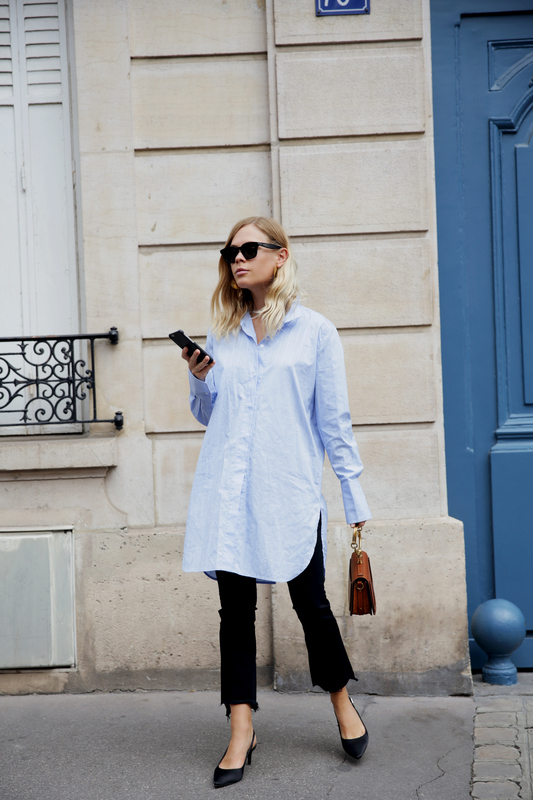 How to give the wardrobe staple a refresher. The humble button up will always be relevant, which is lucky for me as I’m pretty sure I have more shirts in my wardrobe than anything else. Whilst the crisp white button up will always be my go-to when I want to feel extra sharp, the truth is I’m not exactly on first name basis my iron. So generally I prefer to opt for a shirt of the blue or striped variety, which doesn’t require box-fresh perfection. 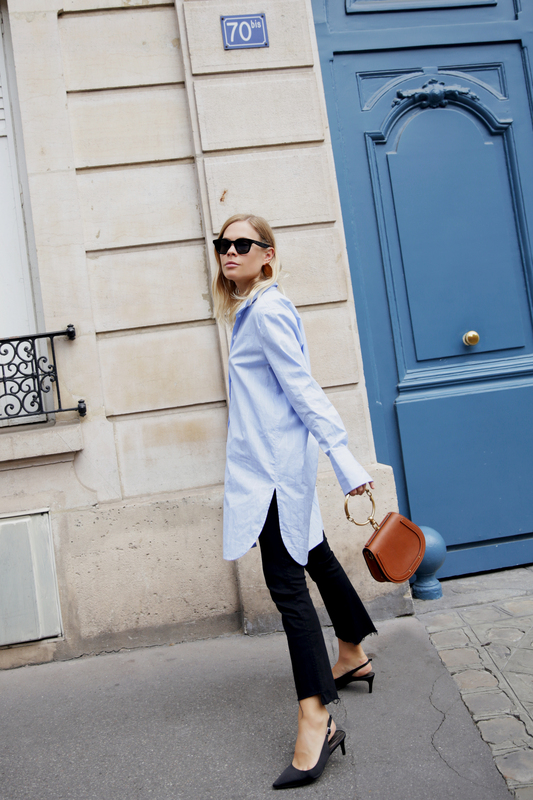 The past 12 months have given a lot of air time to the mega-sleeve shirt, with its billowing sleeves and finger-skimming cuffs. The endless power of the off-the-shoulder top even managed to foray into the world of button ups. But it’s time for a shirt update. Think of it as the next gen. off-the-shoulder shirt. It’s flouncy, it’s fun and unapologetically now. Pair it with tailored trousers for a slightly more masculine touch. 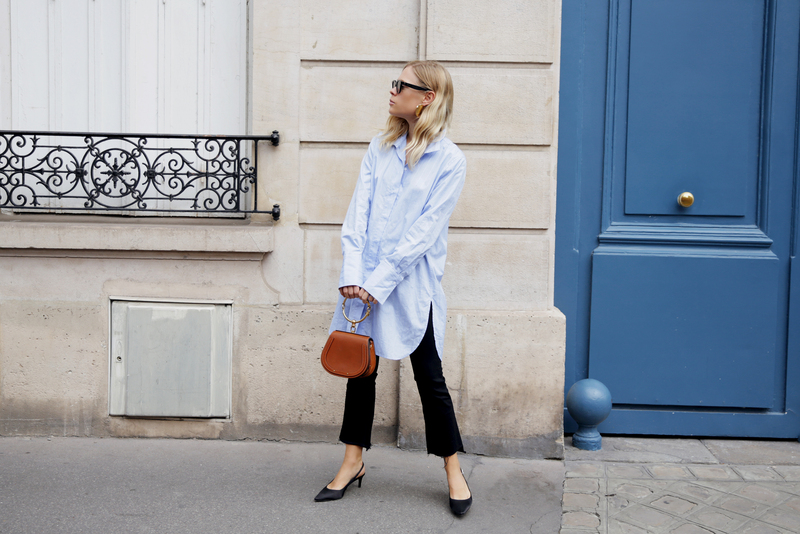 The oversized shirt has generally been reserved for beach wear and cover-ups, but now it’s time to layer like an onion and pull it on over skirts, trousers and denim and button it right up.